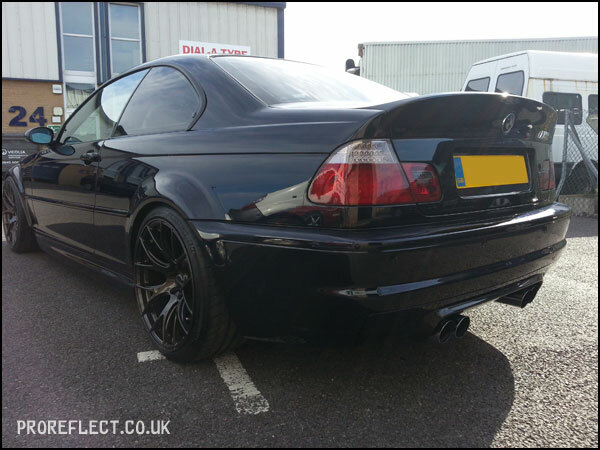 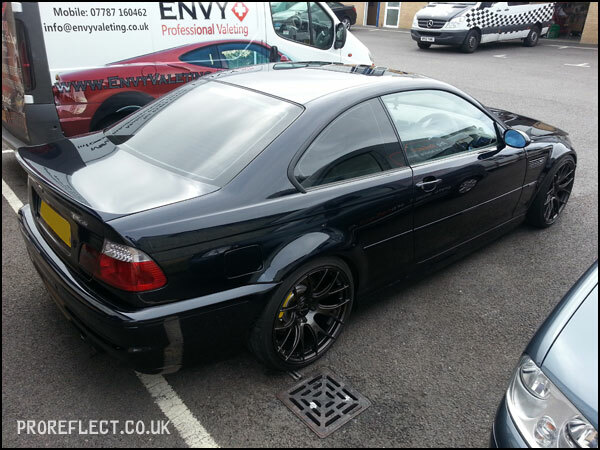 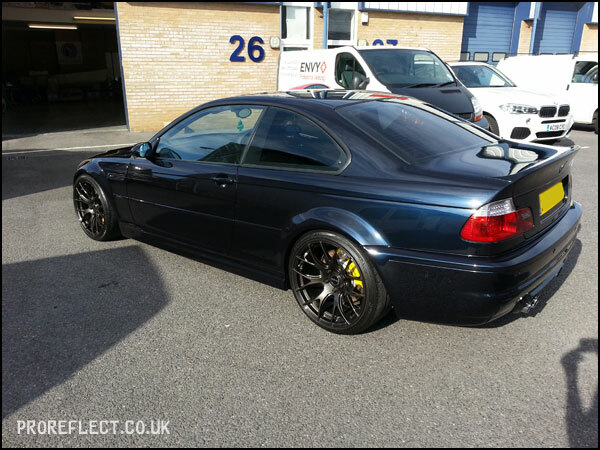 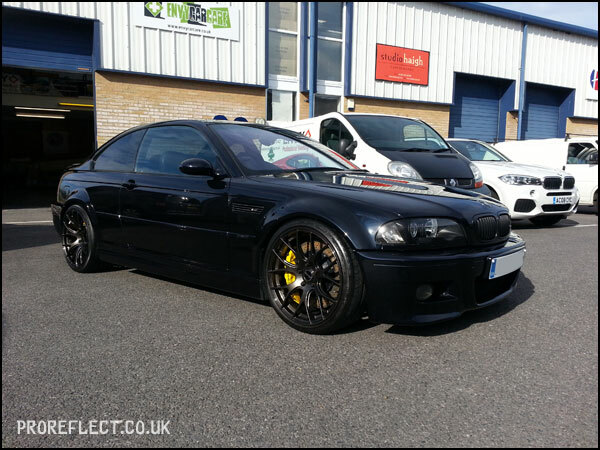 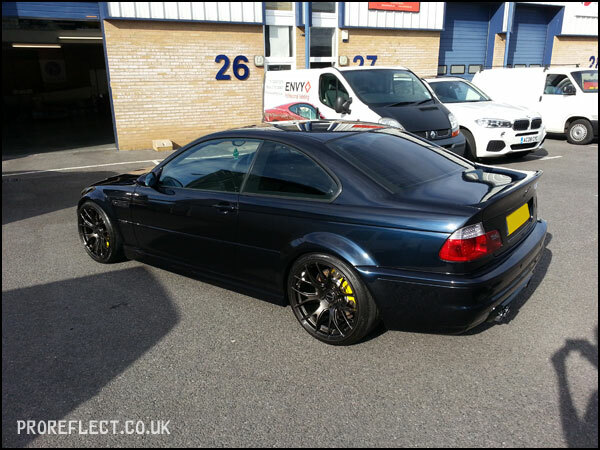 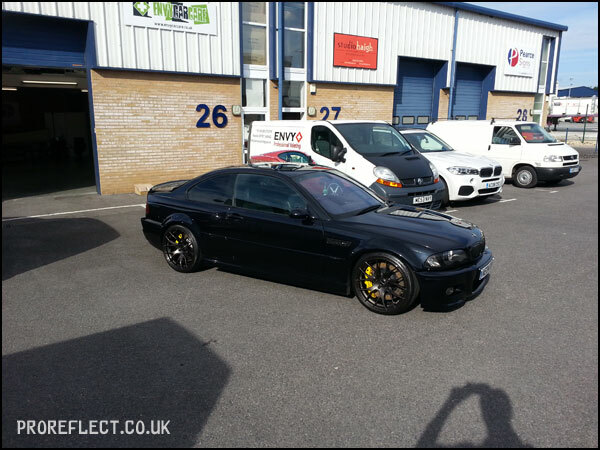 Booked for a 3 day Minor Correction including Engine Bay, Interior and SiRamik treatments. 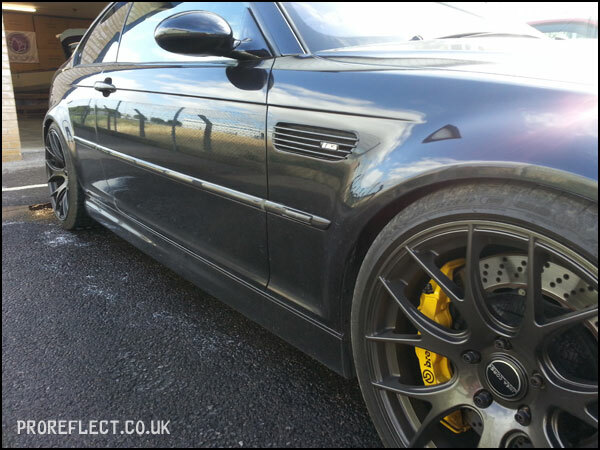 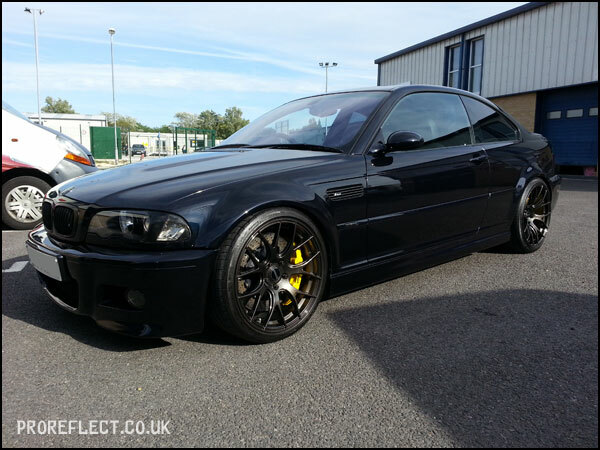 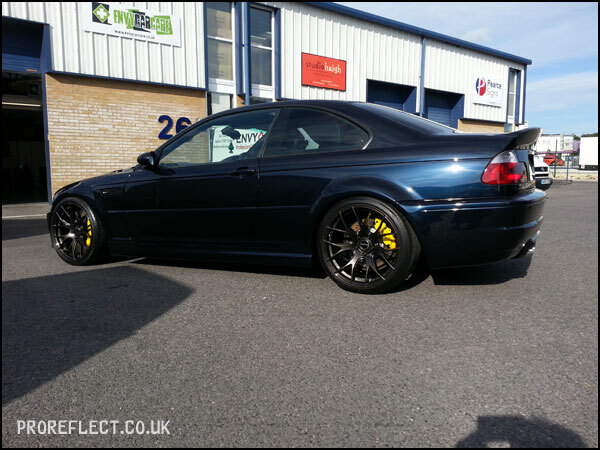 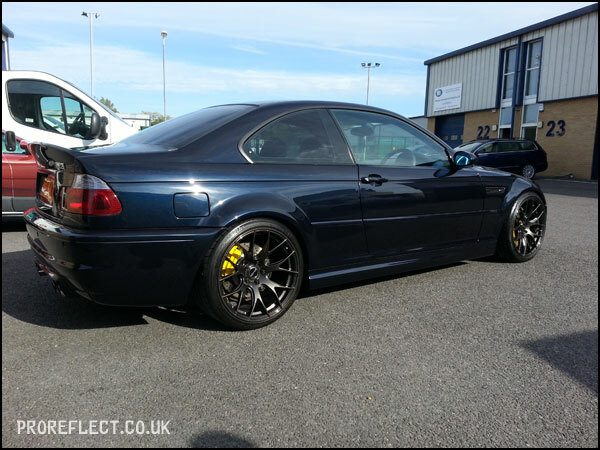 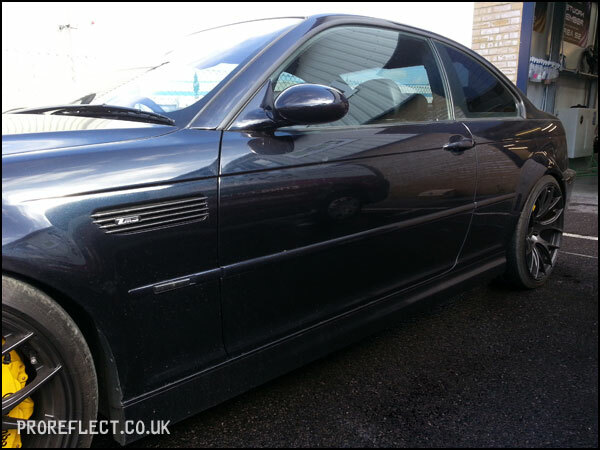 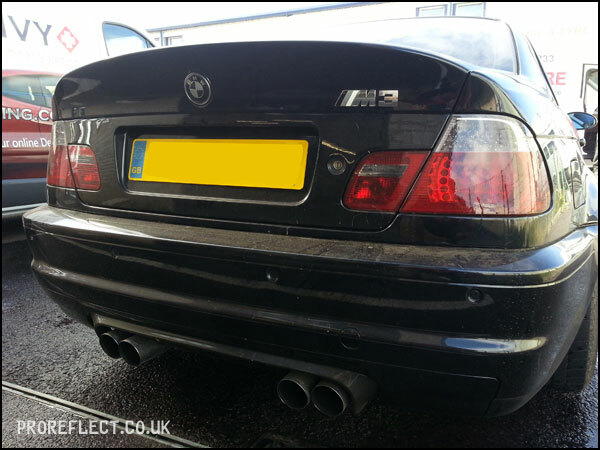 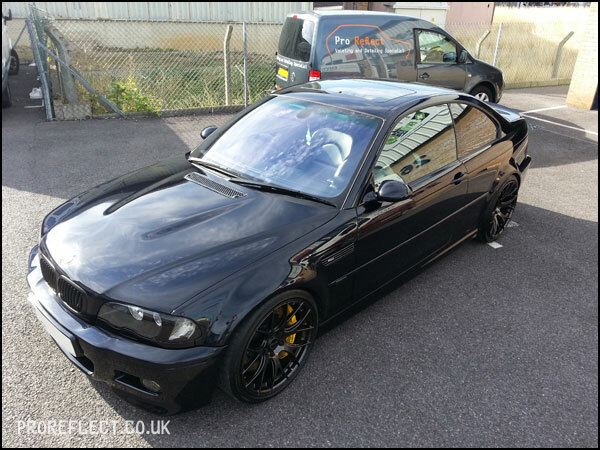 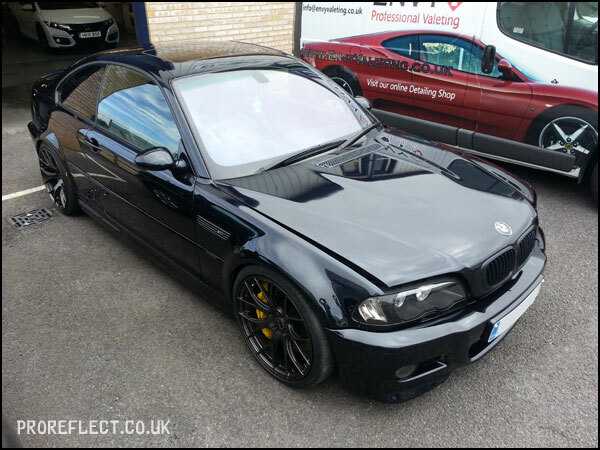 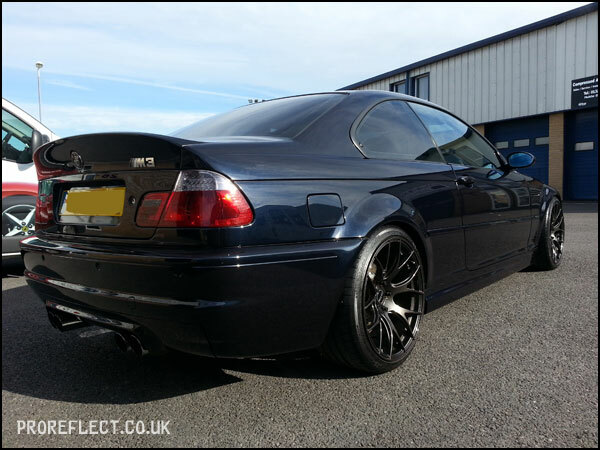 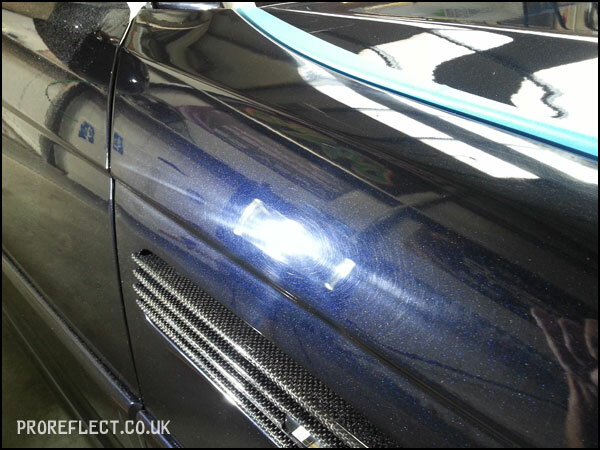 This M3 suffered badly from buffer trails, swirls, scratches, sanding marks; pretty much everything you could imagine. 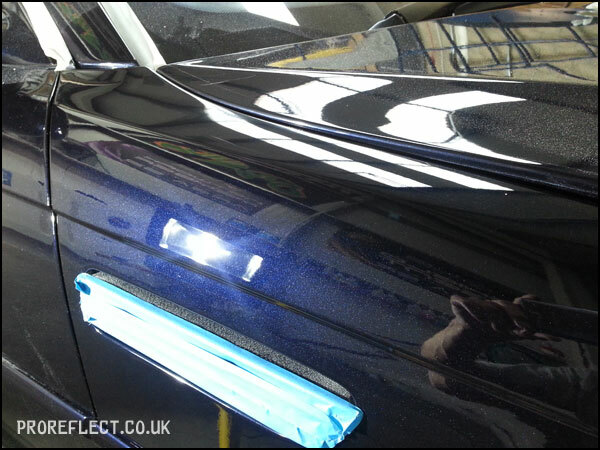 Darker colours especially black get too hot in the summer sun to polish correctly, so a big thanks goes to Tim @ Envy Car Care for the use of his unit. 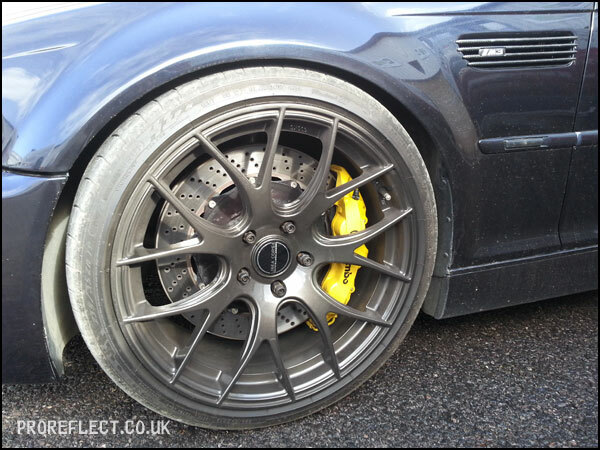 The M3 was coated with 2 layers of SiRamik SC15 (a super durable ceramic coating that will easily last 2-3 years). 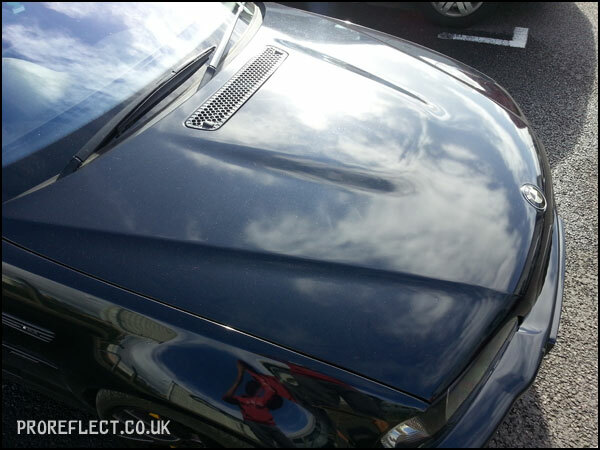 You can just see the holograms in the centre of bonnet. 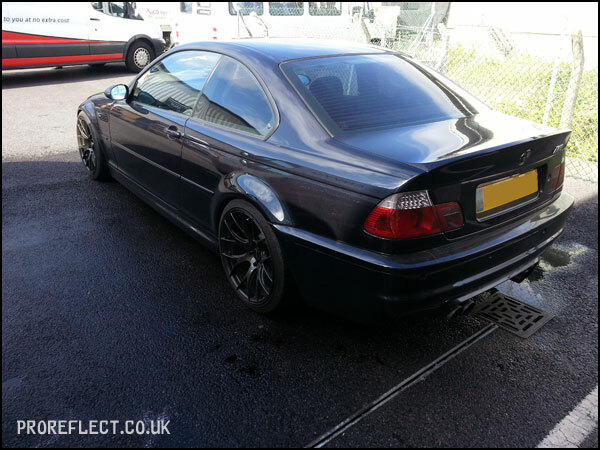 No pictures of the wash stage as this has been well documented in other portfolio write-ups. 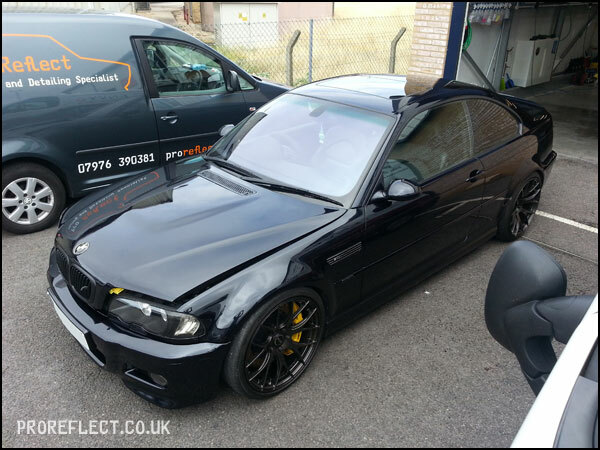 Masked up and ready to go. 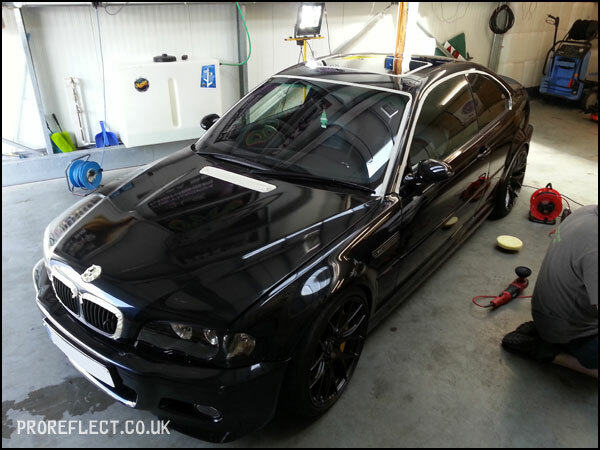 Roof done first followed by the bonnet and so on. 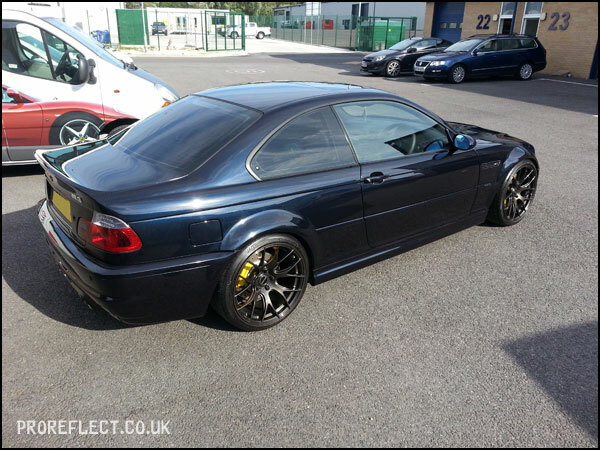 ….now looking a lot better. 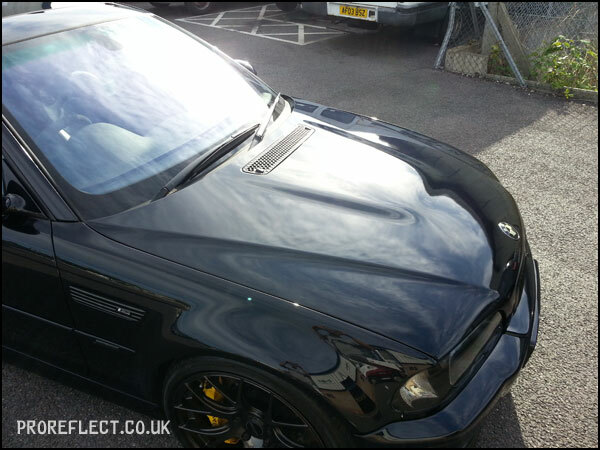 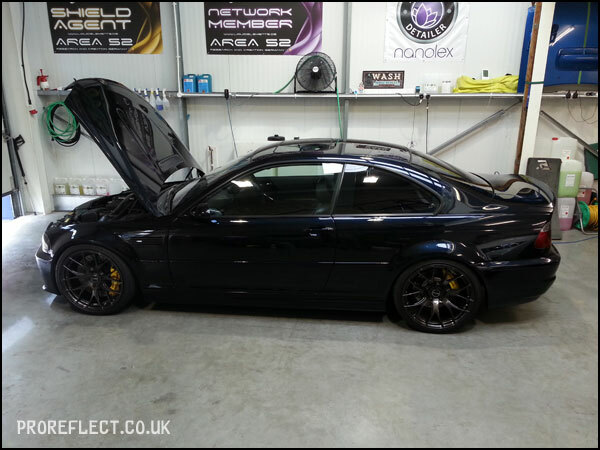 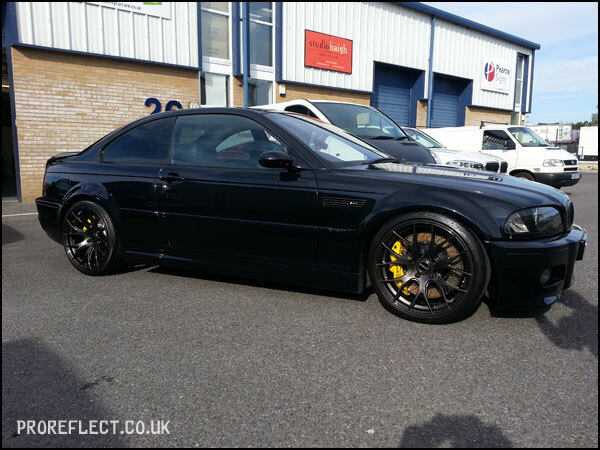 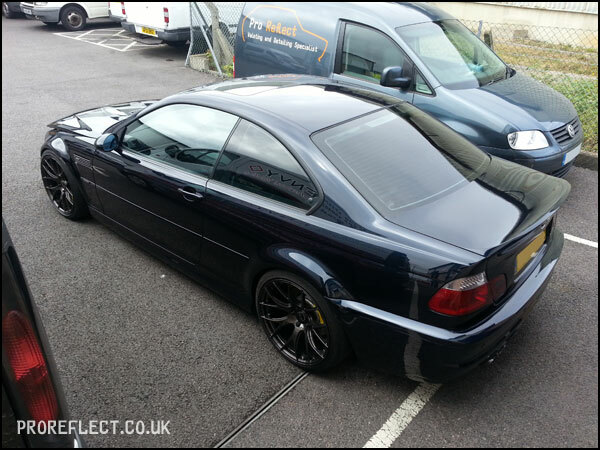 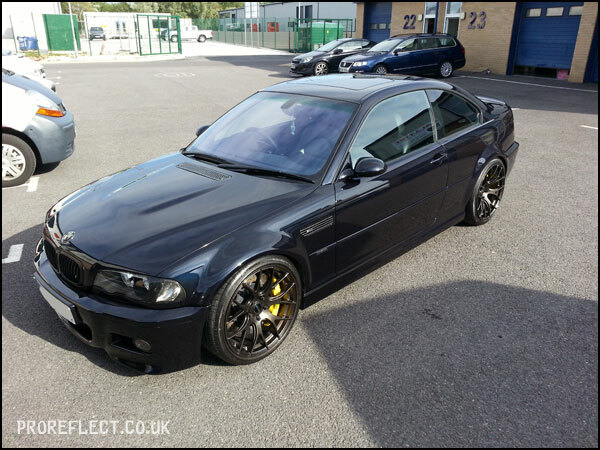 After the paint correction had taken place, the M3 was rolled outside to check work before going any further but looking good. 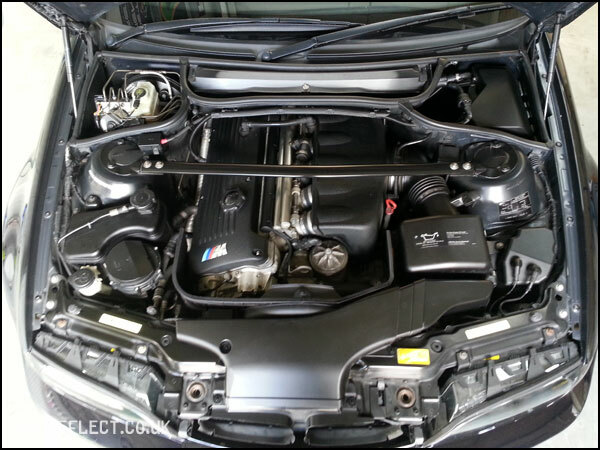 Engine was degreased in the initial wash stages and now was wiped down with Filler Killer and dressed with CarPro Perl. 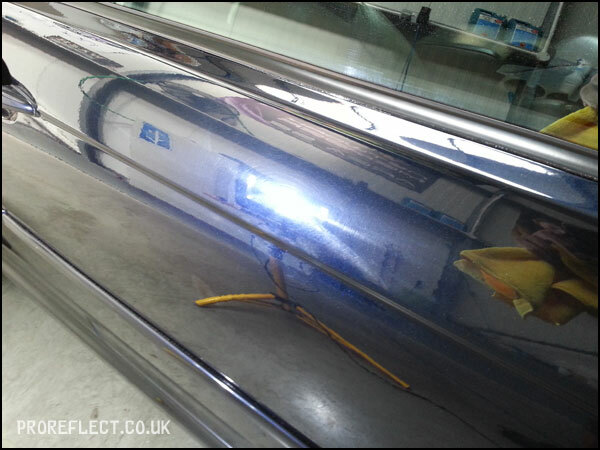 Glass sealed with Carbon Collective Platinum Glass and panels wiped down with Filler Killer prior to the SiRamik SC15 application. 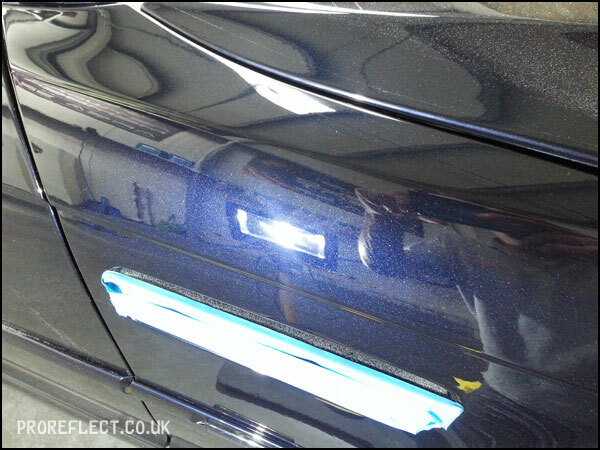 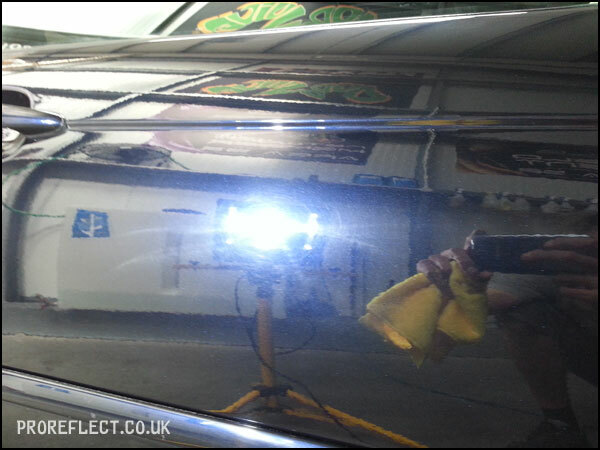 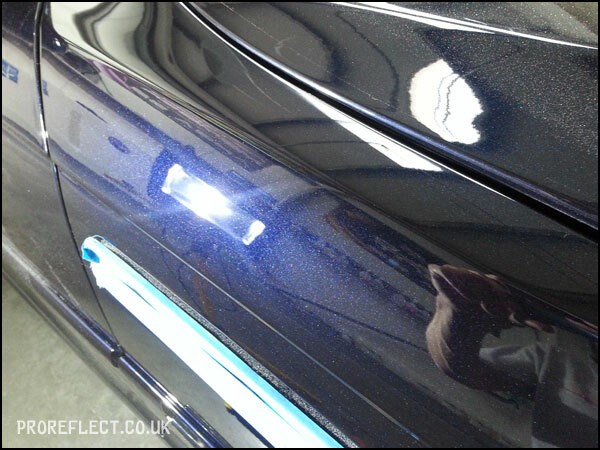 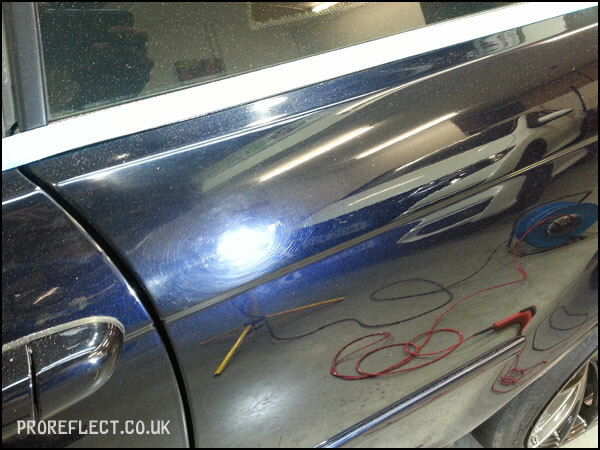 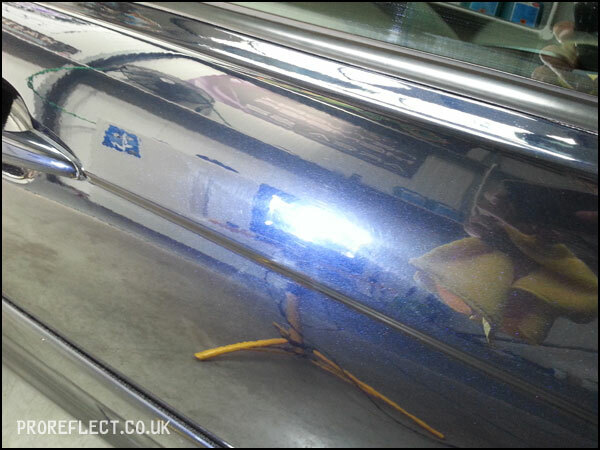 Awesome gloss from SiRamik SC15 that is now protecting the scratch free paint. 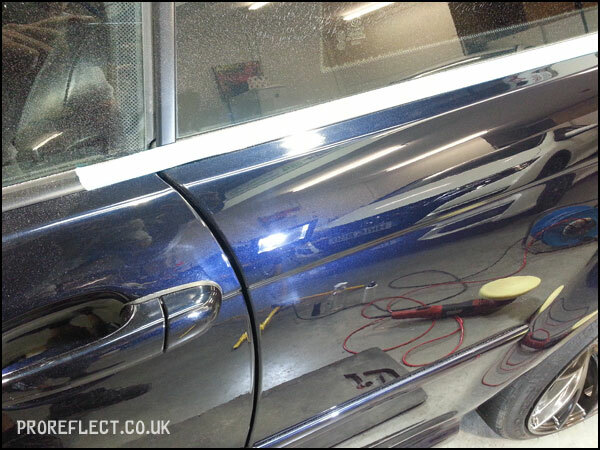 A lot of hard work to get to this stage but the end results were amazing and the customer was blown away.